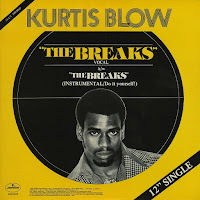 By the end of 1979 there were no less than 20 rap records on the market. Rappers Delight by The Sugar Hill Gang dropped in September of 1979 and is widely credited as being the first ever rap recording (modern rap – not Pig Meat Markham, Cab Calloway & the like). King Tim The 3rd by legendary funk group The Fat Back Band dropped a few weeks earlier than The Sugar Hill Gang on the Polygram/Polydor distributed Spring Records. This is a story of impact. In an effort to discredit the Sugar Hill Gang (whose members Master Gee & Wonder Mike rapped with Phase 2 & Sound On Sound respectively in New Jersey before being discovered and assembled by Sugar Hill Records founder Sylvia Robinson) many early fans of the rap genre will say that the Fat Back Band record was the “real” rap recording between the 2. 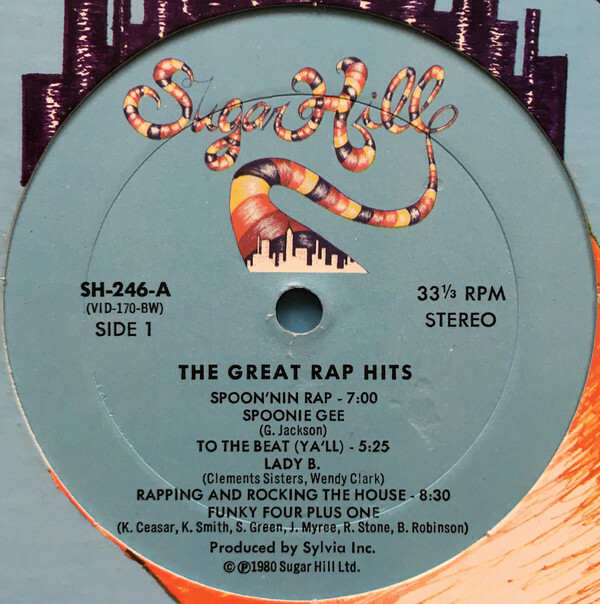 In all honestly if real is using a beat that was heavily used in actual Hip Hop clubs and parties before rap records,then the Sugar Hill Gang (*with their replaying of Good Times – the undisputed summer anthem of 1979 by Chic) is a contender for the title. 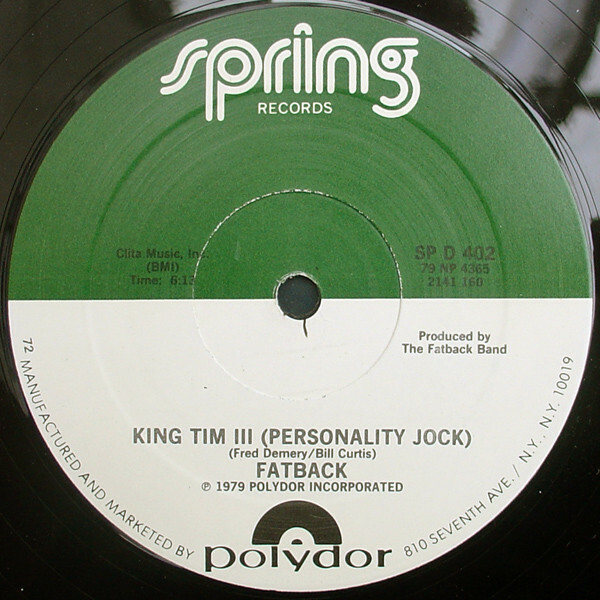 King Tim III, based on the mysterious guest Emcee of the same name on the Fat Back recording, contained the popular old school Dj/Rapper cadence of Dj’s like Jocko, Gary Byrd & Hank Span. These were “jive talking” Djs who spoke over records similar to the Jamaican style of “toasting” before rap records. As with many early rap records, borrowed segues like “hot butter on the popcorn”, “the highs in your eyes/the bass in your face/we’re the funk machines that rock the human race” and “slam dunk do the jerk/let me see your body work” were used in this recording. 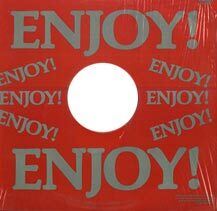 Even though Polydor was a powerful record label that distributed recordings by the likes of Con Funk Shun, James Brown and The Bar Kays at various points; they were not powerful enough to get this new “talking music” on the radio. Sylvia Robinson who was phenomenal as a musician, producer and recording artist on her own – penning the first big hit for Tina Turner, and scoring a gold selling top 20 hit under the name Sylvia Vanderpool with Love Is Strange (alongside her former musical instructor Mickey Baker) had that power and executed it perfectly. 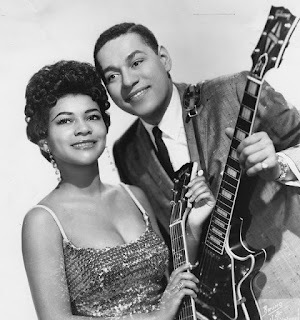 Sylvia Robinson began to open her own night clubs, learn the business of music publishing and create her own record labels shortly after the success of Love Is Strange. 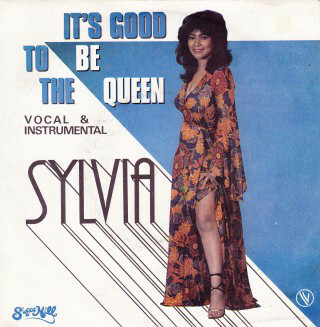 By the 1970’s Sylvia had established Soul/R&B labels All Platinum, Stang, Turbo and Vibration. 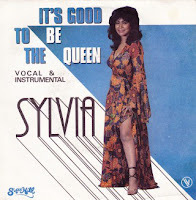 These labels boasted the rosters of Sylvia herself, The Rimshots, The Moments (later Ray Goodman & Brown), The Whatnauts, Wood Brass & Steel, Donnie Elbert, George Kerr and the list goes on. By the end of the 70’s Sylvia was having financial problems with her labels. In fact if you listen to her only recorded rap song It's Good To Be The Queen (an answer to Mel Brooks It's Good To Be The King), she actually gives an autobiographical account of how “it started back in ’79 my whole damn future was on the line”. Fate would solve Sylvia’s financial woes in the form of a birthday party for her niece at the legendary Hip Hop club Harlem World. Simultaneously rapping and Djing that night was the late great Lovebug Starski. This was Sylvia’s first time hearing rap music, and at that moment she knew that this music would restore her music empire, and more importantly keep her financial boat afloat. Starski would eventually be approached, recruited and recorded at 96 West St. in Englewood,New Jersey. As with most people at the time Starski didn’t believe that anyone would want to hear someone talking over someone else’s music, and he felt that he was making enough money Djing at various New York Hip Hop hot spots, so he turned down the gig. Fate would intervene for Mrs. Robinson again when she walked into Crispy Crusts Pizza in Jersey and heard the late Big Bank Hank rapping along to a tape of a group that he was managing called The Cold Crush Brothers. One thing led to another and Sylvia ended up auditioning Michael Wright and Guy O' Brien and eventually she married the 3 of them, giving the world Big Bank Hank, Wonder Mike & Master Gee – The Sugar Hill Gang. 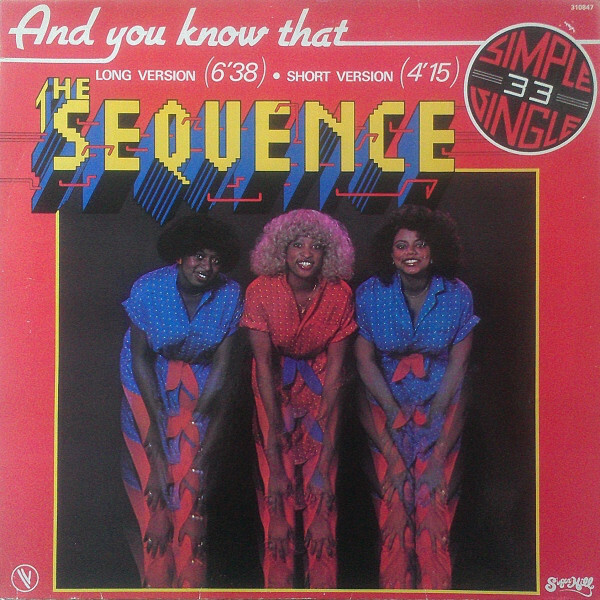 Sylvia, a heavy believer in numerology believed that 3 would be the magic number as far as group members, just as it had been for the Moments. The creation of the Sugar Hill Gang, her new label (titled Sugar Hill, after the affluent area of Harlem where she partied) and the Gang's debut single Rappers Delight changed the course of black music, then music in general and eventually popular culture. and those of Bobby Robinson is that the groups that Bobby signed were all from the Bronx (with the exception of Spoonie & The Treacherous 3), and part of the fraternity of artists who had established the genre via the chitlin’ circuit of performance venues such as The T Connection, Harlem World, The Disco Fever, Burger King Disco, The Hoe Avenue Boys Club etc. 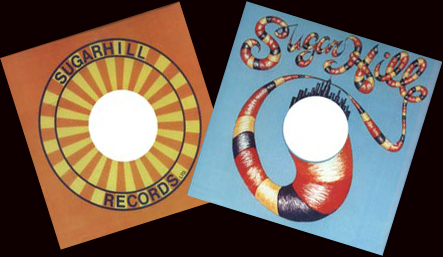 second single Sugar Hill Groove (B side to 8th Wonder). It was Mrs. Rob as she was affectionately called, that told Melle Mel of the Furious 5 to “put that child is born verse that you did for Bobby on the end of The Message”. More importantly it was Sylvia who kept pushing Ed Fletcher's AKA Duke Bootee’s (at the time) spoken word idea The Message to her stable of groups who wanted nothing to do with the slow and depressing 7 minute state of Black America in 1982. There was no template for rap recordings before 1979 and Sugar Hill created the template. There are actually more than that, but those are the most notable and they all impacted the genre and the industry. Mentions are certainly due to Profile records who signed many of the Enjoy! artists that Sylvia didn’t sign like the Masterdon Committee, The Disco 4 (of whom Bobby Robinsons son was a member) and the late great producer and drummer Pumpkin. Of course Profile also signed Run Dmc who changed the game on multiple levels. 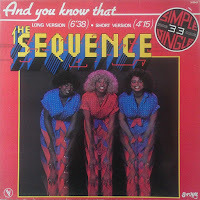 Def Jam, Tommy Boy, Sugarscoop, West End, Party Time, Jive Zomba, Select, Pop Art, Sunny View, Paul Winley Records,Sound Of New York and many others helped to push rap where it would ultimately go all before 1985. It is fashionable to say today that if XYZ didn’t do it, then someone else would have. But would they? Say what you want about Rappers Delight, but that’s the record. That’s the 15 minute record that you still remember every word of. That’s the record that your parents know. How many people can recite every lyric to King Tim III? *The bass line to the Rappers Delight track was played by Chip Shearin. No punch ins, samplers or sequencers. He played the bass line for more than 15 minutes flawlessly.